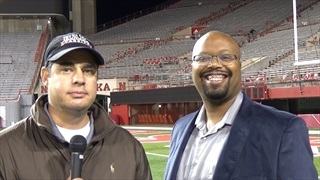 Jacob Padilla takes another deep dive into Nebraska's defensive personnel choices. Nebraska quarterback Tanner Lee has looked different the last two weeks. Almost like the same Tanner Lee we saw during fall camp. Nebraska may have given up 353 yards rushing to the Badgers on Saturday, but 200 of those yards came on just eight carries. 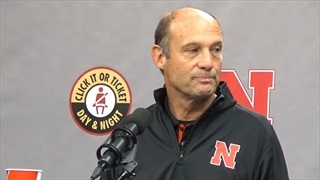 Mike Riley had a lot to say at his Monday morning press conference. We broke down the top five moments. Mike Riley used the phrase "perfect" a lot when talking about the Wisconsin game at his Monday morning press conference. 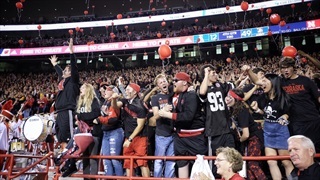 Not in describing how the Huskers played, but how they needed to. 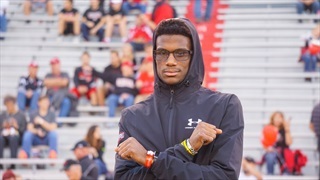 As one of the key members of Nebraska's 2018 class Joshua Moore has become something of a spokesperson for the group, and he says the Husker commits and targets still believe in Nebraska. 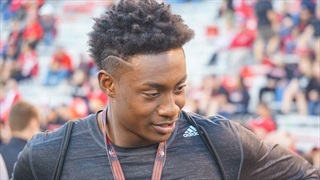 Texas wide receiver Tommy Bush had heard about the Memorial Stadium game day experience, but until Saturday's official visit, he hadn't experienced it himself. 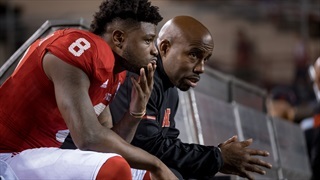 Piece-by-Piece Approach Takes Time, Do the Huskers Have It? 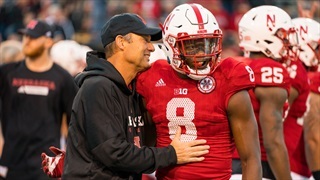 Nebraska did some things well on Saturday despite the loss to Wisconsin, but there were also "other parts" according to Mike Riley. The ones that didn't go so well. Will this staff ever put all the pieces in place? 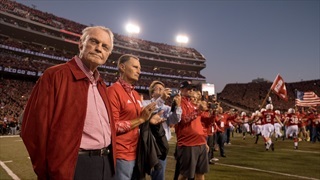 The Hail Varsity staff offers three final takeaways from the Huskers' home loss to Wisconsin. 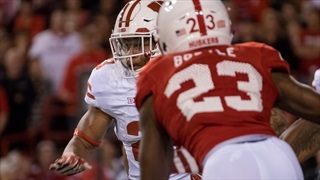 Notable quotes from the Badgers win over the Huskers. 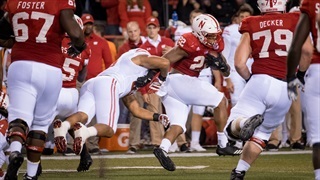 Check out all the photos from Nebraska’s game with Wisconsin in today’s photo gallery by photographers Eric Francis and Aaron Babcock. Finish tackles, finish plays, finish drives, finish games. 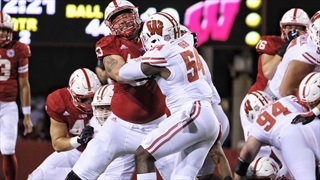 The Huskers didn't do any of it against Wisconsin, and they know that needs to change. 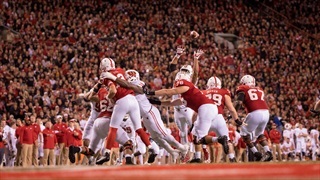 On a night full of nods to Nebraska tradition, Wisconsin provided the ultimate throwback when it stopped throwing the ball midway through the third quarter. 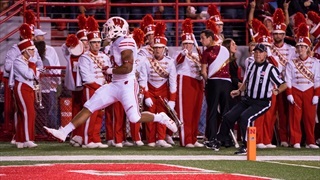 This week's Play of the Game is Aaron Williams' pick-six, not because of the what it did for Nebraska but rather for the effect it had on Wisconsin's offense. 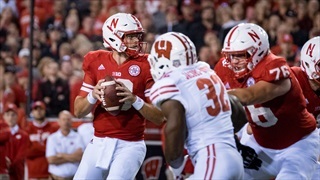 Hail Varsity's Chris Schmidt and Greg Smith break down the Huskers' 38-17 loss to Wisconsin and offer some thoughts on what went wrong. The Huskers might not have looked great on the field Saturday night, but there were some pretty clever things happening on Twitter. 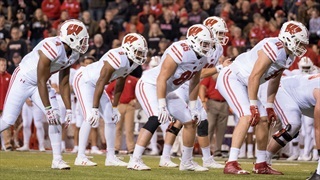 It was a classic Big Ten slug fest under the lights at Memorial Stadium but it was Wisconsin that was left standing after wearing down the Huskers on both sides of the ball. 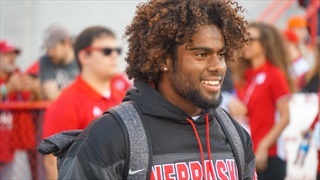 It's a big recruiting weekend for the Huskers. Check out the scenes from the sidelines in our photo gallery.